8in Mirror Ball Set.Includes: One 8in Mirror Ball Set. Dimensions: Approximately 8" in diameter. *Costume and Accessories Not Included. Sold Separately. 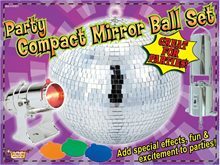 Add special effects, fun an excitement toyour parties with our 8 Mirror Ball Set. Includes one 8" mirror ball, projection light with interchangeable colored lenses. 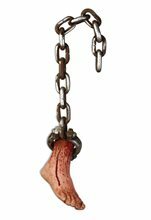 Bat Attack Prop.Includes: One Bat Attack Prop. *Batteries, Decor and Accessories Not Included. Sold Separately. 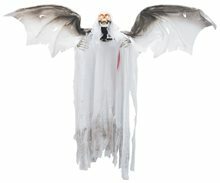 Complete your Haunted House with this creepy Bat Attack Prop! 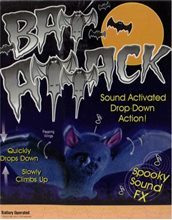 Sound activated drop-down action and spooky sound FX. Quickly drops down and slowly climbs back up. Lookout! 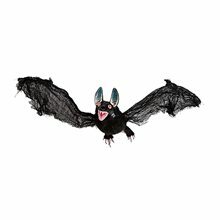 The bats are attacking from above! 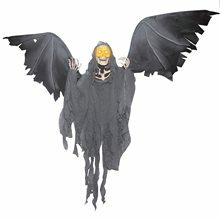 Surprise unsuspecting victims when the bat quickly drops down its string with a shocking scream and sound effects. Wings flapping as it slowly climbs back up into position for its next attack. Battery operated. Uses 2 "AA" size (1.5V) batteries. 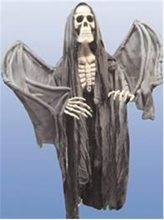 Bat Prop.Includes: One Bat Prop. 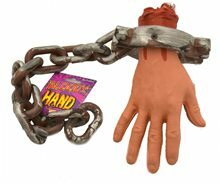 *Batteries, Costume and Other Accessories Not Included. Sold Separately. 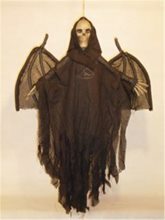 Complete your Haunted House decor with this awesome Bat Prop! 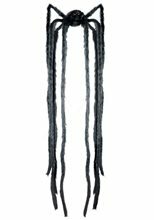 Black Angel Of Death,This 3 foot hanging Black Angel of Death is great for that little location that needs something special. Arms are positionable as well.